This particular Fresno ACE Cash Express is located in a small shopping center on the corner of E Kings Canyon Rd and S Chestnut Ave. This location features a walk-in space and plenty of free parking. Bus line #28 and #41 of the Fresno Public Transportation Bus Line both have stops at NW Chestnut-Elmonte, right in front of the store. Within walking distance of this ACE Cash Express location are Indian Foot Mart, Fast Eddie’s Pizza, Angellitos Nutrition, and the Seafood Company. Auto Title Loans Powered by LoanMart in Fresno at ACE Cash Express! 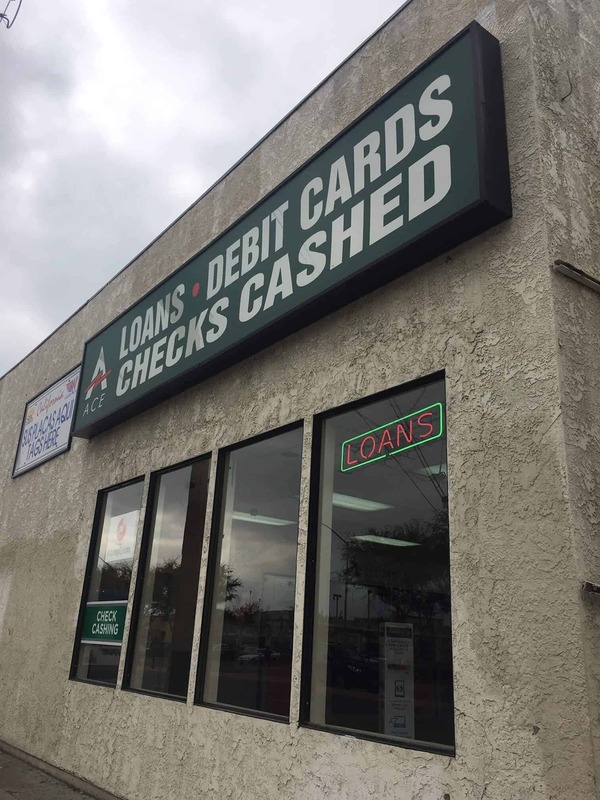 Stop letting your financial situation bring you down and apply for an auto title loan powered by LoanMart in Fresno today!1 Once approved, your skilled agent will talk to you about how to obtain your title loan money at ACE Cash Express!